Freebie Friday “Resolutions” Edition: Win a Free Redbox Gift Card! It’s 2019, and there will be some fantastic flicks coming out this year. Let’s talk about our new year’s movie resolutions! 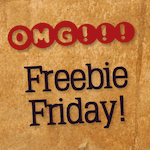 Freebie Friday ” Post Holiday” Edition: Win a Free Redbox Gift Card! Last week, we asked you what your least favorite holiday movie was. Now that Christmas has come and gone, we want to know what movies you gave/received this year! Freebie Friday “Movie Scrooges” Edition: Win a Free Redbox Gift Card! Last week, we asked you what your favorite holiday movie was, and you came up with some fantastic responses. This time, we want to know what holiday movie belongs in the fireplace instead of underneath the Christmas tree. That’s right, we want to know your LEAST favorite holiday flick. We all have them! Freebie Friday “Christmas Flicks Too” Edition: Win a Free Redbox Gift Card! Christmas season is in full swing! As you’re out there dodging traffic, snow, and fellow frenzied shoppers, we hope you’re taking a moment to enjoy a favorite holiday flick or two. As part of an annual tradition around here, let’s talk about our favorite holiday movies!